Batter Up! 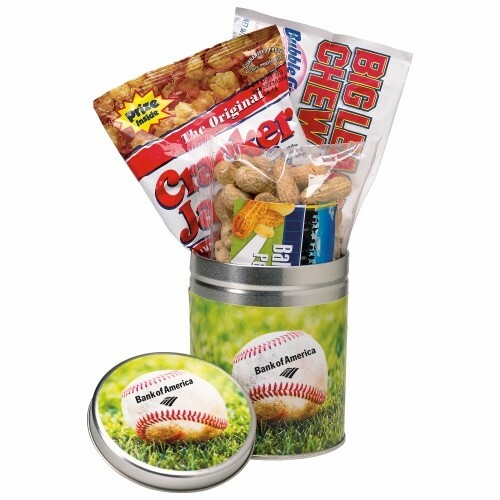 This tin has all the crowd favorites including Ballpark Peanuts, Cracker Jacks and Big League Chew Bubble gum. With the 4-color process label on the lid and wrap around the body, this tin is sure to be a homerun. 4 1/16" Diameter x 4 7/8" H - This item is also available in many other designs for other sports, beach scenes, outer space, gambling, thank you, birthday candles, wedding/anniversary, congratulations, theatre call for info. 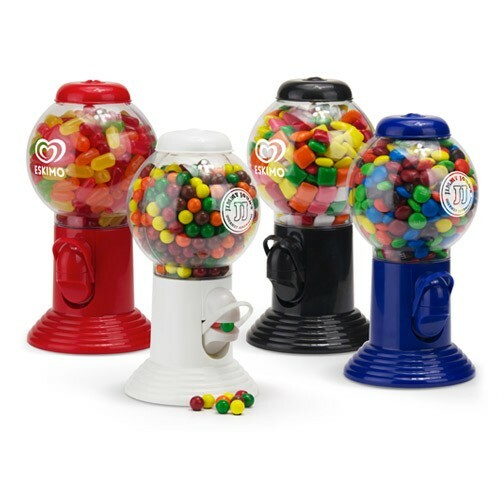 Candy dispenser with clear container. Top and base available in 4 matching colors. 3 1/2" W x 7 3/4" H. 14 oz capacity. Price is for an empty dispenser.